Douglene Jackson, PhD, OTR/L, LMT, ATP, is an occupational therapist with 20 years of experience working in the rehabilitation field. She holds a PhD in Special Education in Early Childhood, a master’s degree in Occupational Therapy, a bachelor’s degree in Rehabilitation Services with a concentration in counseling, and a Diploma in Massage Therapy. 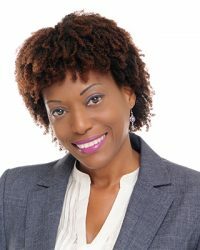 Dr. Jackson is assistant professor in the Occupational Therapy program at the University of St. Augustine for Health Sciences campus in Miami and also conducts research at the University of Miami-Mailman Center for Child Development. Her research interests include health and educational equity, evidence-based practices for early intervention and developmental disabilities, assistive technology, autism, and other neurodevelopmental disabilities. Dr. Jackson has presented her research and on topics of expertise at local, national, and international venues.